Orlando [AAOS], March 3, 2016—Brainlab, a global leader in software-driven medical technology expands its digital planning software by introducing Auto-Knee this week at the American Academy of Orthopaedic Surgeons Annual Meeting in Orlando, Florida. Auto-Knee, the latest feature of the new TraumaCad 2.5, provides quick and comprehensive preoperative planning of knee arthroplasty procedures, removing manual steps by automatically registering landmarks. 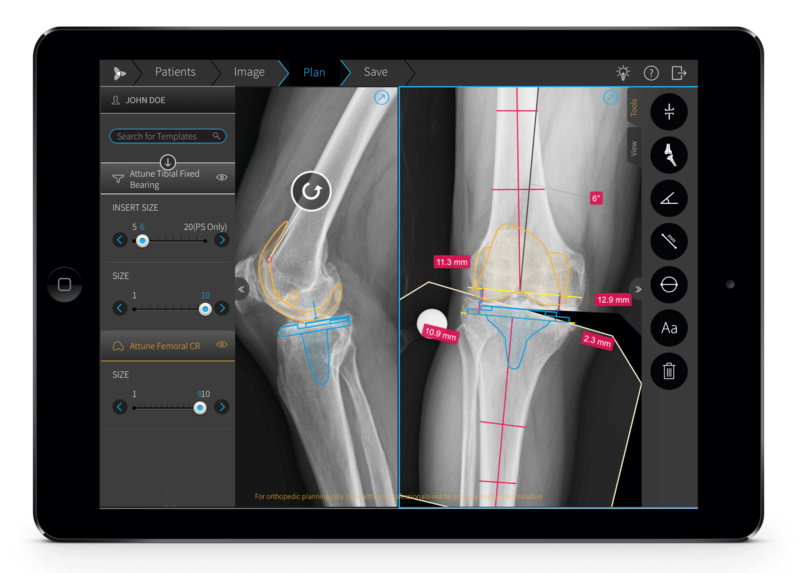 Through automatic detection of anatomical landmarks, planning of AP resection lines, template positioning and size estimation, as well as simulation of the knee alignment, Auto-Knee helps surgeons to quickly and automatically plan knee surgery procedures. For knee planning on the go, Auto-Knee is also available on the newest version of TraumaCad Mobile for iPad®. At the meeting, Brainlab will also be presenting its full range of software-guided tools for knee surgery. In addition to Auto-Knee, Brainlab will demonstrate visualization features for potential instabilities through the full range of motion, before bone cuts are made. To discover the latest innovations in software-guided knee surgery from Brainlab, visit AAOS booth #2871 or brainlab.com/ortho. ®iPad is a registered trademark of Apple, Inc.